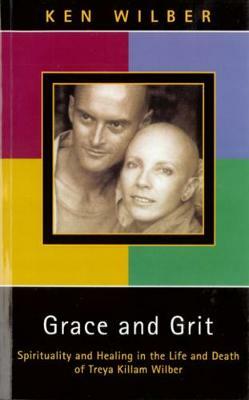 Grace and Grit' is the compelling story of the five-year journey of psychologist Ken Wilber and his wife, Treya Killam Wilber, through Treya's illness, treatment, and finally, death. It is a rare book - a love story that brings the perennial wisdom of the ages to life in all the anguish and exaltation that comprise the human condition. The author's wide-ranging commentary - which questions both conventional and New Age approaches to illness - is combined with Treya's journals to create a vivid, vibrant and honest portrait of health and healing, wholeness and harmony, suffering and surrender. An extraordinary testimony to the power and beauty of the human spirit, 'Grace and Grit' at the same time conveys many sustained insights into the difference between spirituality and religion, into psychotherapy and women's spirituality and into meditation and its scope and meaning in today's world. It is a life-changing work.